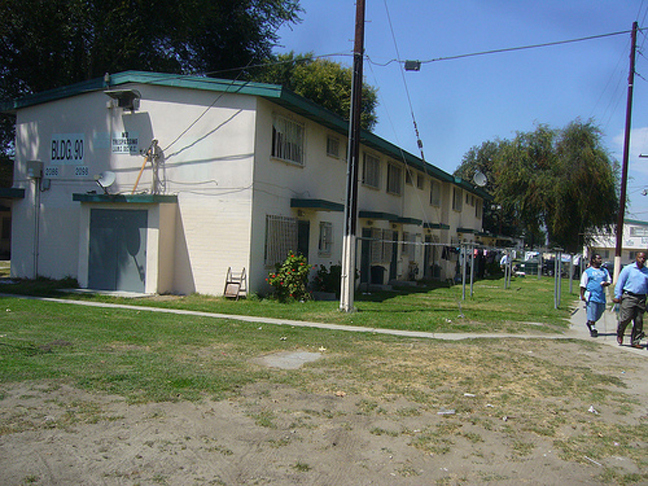 The Housing Authority of the City of Los Angeles (HACLA) recently announced that The Department of Toxic Substances Control (DTSC) has approved the agency’s Interim Remedial Action Plan (IRAP) for 9901 Alameda property as part of the overall Jordan Downs public housing redevelopment project. The latest development paves the way for a 2014 clean-up of the 21-acre former factory site adjacent to Jordan Downs. The 21-acre site adjacent to Jordan Downs had been used for industrial purposes for many decades prior to HACLA’s decision to acquire it in 2008. HACLA’s initiative set the stage for clean-up of the land. HACLA voluntarily entered into an agreement with the DTSC to remediate the site. As such, HACLA will follow the state standards and requirements dictated by DTSC to test, prepare and implement a remediation plan. During the public review and comment period for the draft Remedial Action Plan, DTSC received several queries regarding Volatile Organic Compounds (VOCs) found at the 21-acre site and its potential impact to the public housing residents. As a result, HACLA conducted additional soil-vapor tests and will test the environmental conditions beyond the boundary of the 21-acre site. Soil-vapor testing for VOCs is planned for the northeast portion of the Jordan Downs community, first focusing on the residences east of Laurel Place. If necessary, the testing will proceed west of Laurel Place until the soil vapors are delineated to the satisfaction of DTSC, our consultants, and HACLA. In addition, a plan to conduct surface soil sampling and analysis for metals within the Jordan Downs community was submitted and has been approved by DTSC. The initial focus of the sampling is the area of the Jordan Downs community immediately surrounding the site. HACLA’s master developer partner will procure qualified contractors and manage the implementation of the IRAP. It is anticipated that this work will initiate in late summer/early fall 2014 and take approximately 3 to 6 months to complete. This work will be monitored and ultimately approved by DTSC.